Alex Shams is an Iranian-American writer and a PhD student of Anthropology at the University of Chicago. The silver dome of Our Lady of the Spasm Armenian Catholic Church and the golden Dome of the Rock rise over the Old City of Jerusalem. This week, more than 1.5 billion Christians around the world will celebrate the Christmas message of hope. But in the little hilltop town where the baby Jesus was born more than 2,000 years ago, the festivities will be subdued. 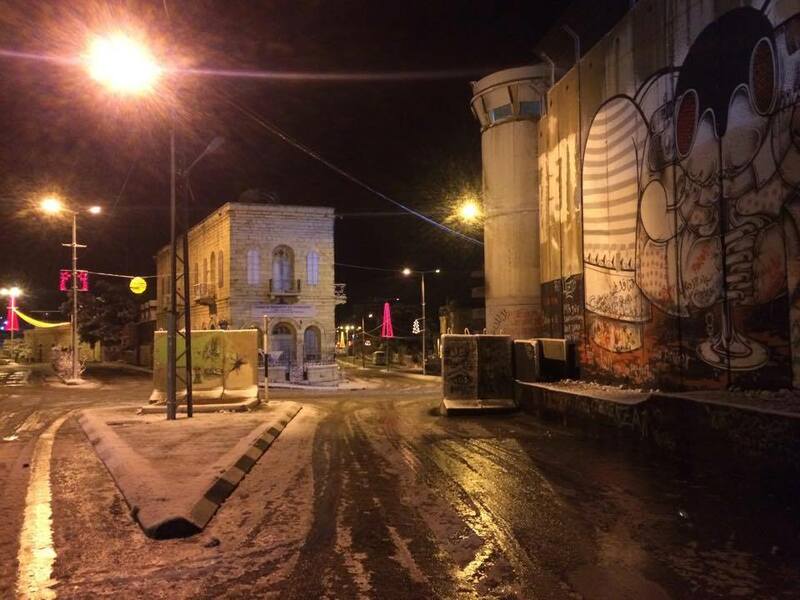 Bethlehem is under siege, as it has been for decades. The wall Israel has built through the West Bank cuts deep into the heart of Bethlehem, surrounding a shrine named after the Biblical matriarch Rachel and preventing locals from praying there, as they have for centuries. In the hills around Bethlehem, meanwhile, Israel has confiscated thousands of acres of land, forcing farmers off lands their families have cultivated for centuries. From the rooftops of Bethlehem, the view in every direction is of the gigantic fortresses Israel has built exclusively for Israeli Jews on land largely taken from Palestinians. Where there are gaps, Israeli military bases and checkpoints block the roads to Palestinians. In a small valley nearby, Israeli construction continues; the military is building a wall that will divide a Christian complex in two, leaving a monastery on one side and a convent on the other. 58 Palestinian Christian families who own land in the area will also be dispossessed. The wall, if completed, will tear through the friars' vineyards as well, destroying the dreams of Palestine' nascent wine industry. With it will be dashed the hopes of Bethlehem's people, split evenly into a harmonious mix of Muslims and Christians. The problems facing Bethlehem are but a microcosm of those facing Palestinians in the West Bank as a whole. In 1967, Israel invaded the region and millions of Palestinians have lived under the iron fist of military rule since. 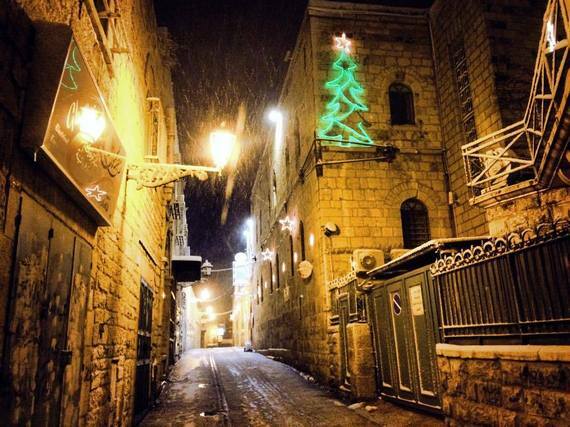 In Bethlehem, as elsewhere, this has meant decades of oppression through a two-tier legal system that discriminates against Palestinians in favor of Jewish Israelis. 85% of land around Bethlehem is under full Israel control, for example, completely off-limits to development by Palestinian residents. The approximately 2.5 million Palestinians in the West Bank are subject to military law. This law restricts their rights to basic freedoms of all sorts, ranging from the criminalization of protest and ability to travel freely between Palestinian towns, to the wider economic restrictions that prevent Palestinians from improving their economy. As a result of discriminatory Israeli fiat, for example, today Palestinians are forbidden from building on 80% of the West Bank - territory that is almost universally recognized as Palestinian. The World Bank estimates that these Israeli land restrictions cost the Palestinian economy billions a year. The result is a situation that is intolerable and has been so for decades. Tens of thousands of residents of Bethlehem are refugees from elsewhere, living in crowded camps. For them, the catastrophe did not begin in 1967; their families were forced from their homes in 1948 when the State of Israel was created. At the time, the militias that would become the Israeli army carried out ethnic cleansing on a massive scale, killing hundreds, if not thousands, and forcing 750,000 Palestinians to flee their homes. To this day, the majority of Palestinians don't even live in their homeland; in addition to those in the West Bank and the nearly 2 million in the Gaza Strip, 5 million live abroad, either as refugees in camps in Lebanon, Jordan, or Syria, or else in other countries. The vast majority of these are forbidden from returning to their homes in what is now Israel, while Israeli authorities arbitrarily restrict even those resident in their homeland from returning. For example, Israel revokes the right of Palestinians from Jerusalem who live abroad for seven years or more to return home, leaving them stranded and homeless abroad. The restrictions are part of an explicit strategy to ensure a constant Jewish majority in the historically-Palestinian city. While hundreds of thousands of Palestinians flee in wartime, the daily humiliations of occupation - a banal but ceaseless warfare in itself - takes its toll as well. In Bethlehem, every household has family abroad, and many of those that remain are giving up on their ability to make a future in their homeland. Tens of thousands of Palestinians, Christians and Muslims, have left Bethlehem in recent decades as a result, hoping to follow relatives abroad to a land where military rule is not the norm and the hopes for economic growth are greater. If they could stay in Palestine, they would; but every year that Israeli military rule continues is another year that thousands are forced to look for jobs elsewhere. Decades of Israeli military rule have stifled the dreams of a nation. But more than anything, it has been the misleading "peace negotiations" that have killed its hope. In 1988, millions of Palestinians rose up against Israeli military rule in the "First Intifada". After five years of resistance they emerged victorious, with the United States forcing Israel to recognize they could not treat Palestinians as military subjects forever. Palestinians managed to secure for themselves a small degree of self-rule in the cities, and attained basic freedoms - like the right to fly their flag and to attend schools where they could learn their own history, previously rights forbidden to them. Through the Oslo Accords, Israel promised to eventually open a pathway for Palestinian statehood, and the United States promised to hold Israel accountable. But since 1993, the Palestinians have seen disappointment after disappointment, as successive Israeli governments, both right-wing and left-wing, have reneged on their promises. The number of Israeli settlers living on land confiscated from Palestinians has nearly quadrupled, from around 250,000 to more than 700,000 today, and Palestinians are more restricted than they have ever been. 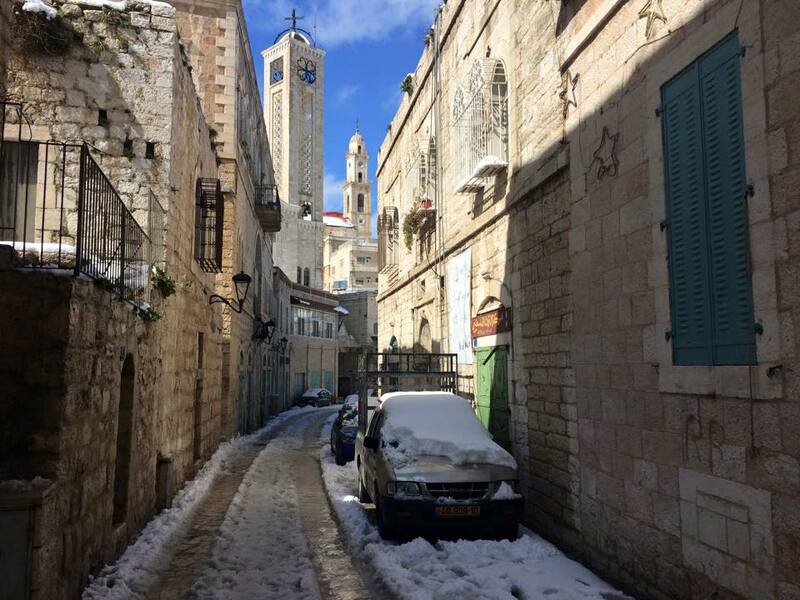 The hopelessness is palpable in Bethlehem today. Since October, Israeli forces have killed around 130 Palestinians, including 1 a day since the beginning of December. Nearly two dozen Israelis have been killed in attacks by Palestinians in the same period of time, themselves a reaction to the cruel daily violence of occupation. Thousands more Palestinians have been injured by Israeli gunfire at protests against the violence. The vast majority of Palestinians are trying their hardest to get by in an extremely difficult situation. But it is not hard to imagine why some turn to violence, given how Israel has manipulated the "peace process" to secure more control over Palestinian lives while refusing to offer anything in return. The United States is complicit in the situation. Our government funds Israel to the tune of $3 billion a year, the vast majority in military aid. As a result, Israel has managed to carry out its occupation for decades with little or no repercussions. Palestinians and Israelis of different political stripes have managed to unite around the BDS movement, which calls for a global civil society boycott of Israel until it complies with international law. Western governments have failed to hold Israel accountable, and indeed have actively participated and supported its crimes against the Palestinian people. The BDS movement calls upon us to take the responsibility to act into our own hands and to realize that decades of peace negotiations have been but a façade for land annexation and the entrenchment of apartheid. The BDS movement calls upon us to instead demand real solutions to real problems. This Christmas, let us remember the Palestinians clamoring out for justice and peace in their homeland. Let us remember the people of Bethlehem, inhabitants of a town whose name is repeated in churches around the world but whose bleak present-day reality is too often forgotten. And let us stand us stand together with the Palestinian people in their struggle for freedom, supporting the boycott of Israel until justice in the Holy Land is achieved.